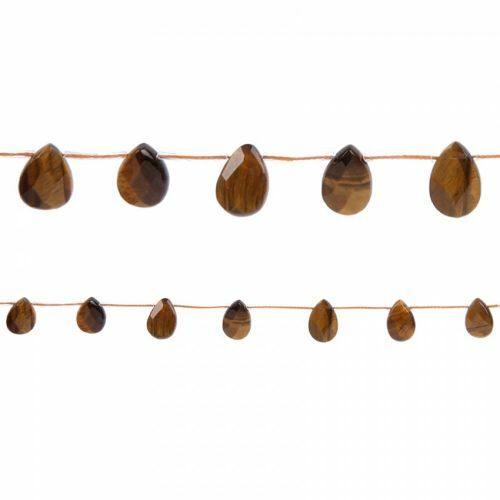 Design completely unique and personalised jewellery using these amazing Tiger Eye Side Drilled Faceted Pear Beads. Each bead features an iridescent quality and has unique stripes and patterns across the faceted surface. Combine these cute beads with matching findings to create your own cute charms, earrings or droplet designs? Strand contains approx. 15 beads. Bead colours, markings and shapes will vary from strand to strand due to the nature of the product.